Learn how to protect your hair from damage with these natural hair straightening tips with homemade hair treatments for sleek shiny hair. Straightening your strands is often exhausting and requires a lot of time and causes a lot of damage to your strands. However besides the artificial methods there are small tricks and treatments that can help you in maintaining your strands sleek and shiny. Here are some natural hair straightening tips for shiny, sleek hair. Natural hair straightening indeed requires more perseverance and time than artificial methods do. However with time you'll notice that these organic treatments shape and keep your strands healthy. 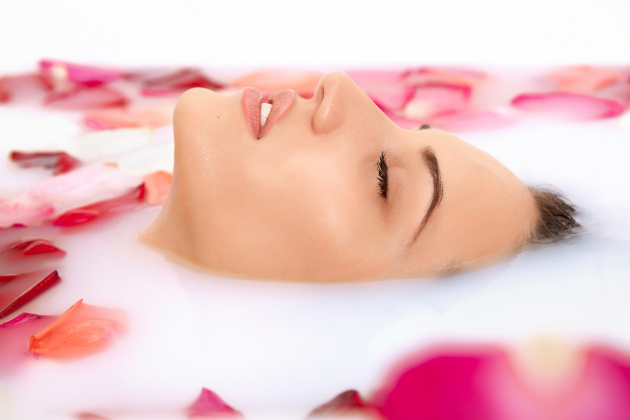 Coconut milk is considered to have the quality to keep hair sleek. Add the juice of a lemon to one glass of coconut milk and leave the mixture cool down in the refrigerator. Finally you should get a creamy paste - apply this cream over your hair and cover it with a hot towel. Leave it on for a couple of minutes then rinse it off with shampoo. While your hair is still wet detangle your strands with a comb. Repeat this ritual for 3 weeks, each time you wash your hair, to notice that the texture of your hair gradually gets more shiny and sleek. 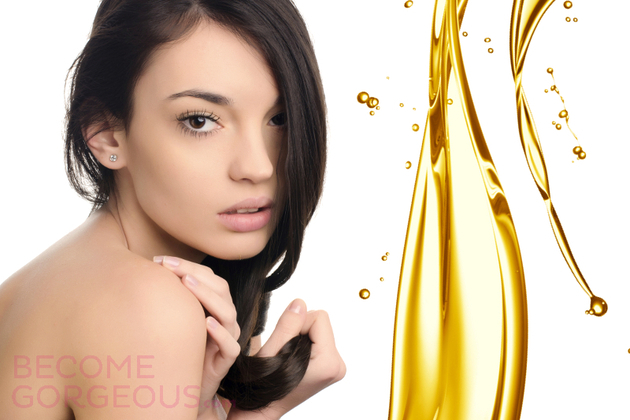 Hot oil treatments are generally regarded 'green' hair care remedies. As a deep conditioning treatment used to pamper and 'cure' damaged hair, these have also the ability to relax naturally curly or wavy hair. In fact it can act as straighteners do, providing the follicles with moisture. Heat the oil in a bowl, first detangle your hair and apply it to your hair. Cover your head with a towel and leave it to take action for 15-30 minutes. Besides giving sleekness to your hair, it will also give back its natural healthy glow. Go on with this useful habit, repeating it once a week. These ingredients also act as natural hair straighteners that nourish and protect hair. Add a teaspoon of honey to a cup of milk, them mash some strawberries and also mix it with the initial paste. Apply the creamy paste to your hair and leave it on for at least 2 hours. Wash it off with shampoo, then detangle your strands with comb. Plain milk is also very useful when it comes of hair straightening. Take a bottle with a pump dispenser and pour 1/3 cup of milk into it. Before applying it wash, then dry your hair thoroughly. Next, spray the lotion to your strands and leave it on for 20 minutes. Finally rinse it off. Comb your strands gently while still wet, to create the sleek effect. It will do miracles nut only with your curly hair but also with your scalp.